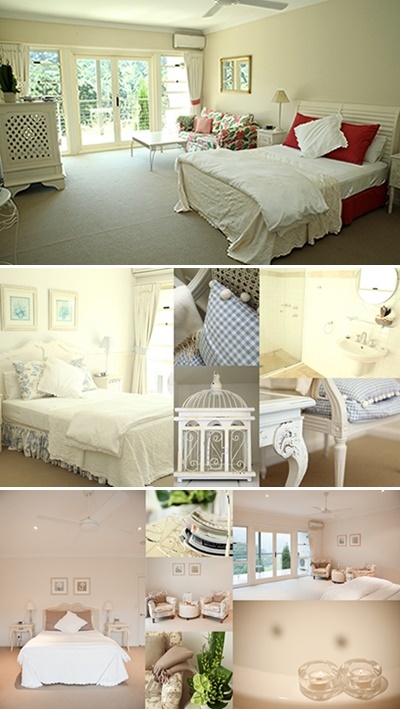 Lavender House By The Sea is a luxurious Bed and Breakfast accommodation for couples situated on the NSW Central Coast, at The Entrance. We are located in the ideal position. Step out the door and you are only seconds from patrolled beaches and scenic ocean walks. A few minutes leisurely stroll will see you in the town centre of The Entrance, with its many restaurants, cafes, retail shops, weekend markets and entertainment. We offer luxury accommodation and are proud to operate our Bed and Breakfast the old fashioned way – offering our warm, friendly service and hospitality with all the comforts of home. We have 6 individually furnished rooms which are serviced daily. Shown on this page are two of the queen rooms. Our new honeymoon and king suites are located on our new level which can be accessed from an internal lift or through a private side entrance. Our full English breakfast, with great cappuccinos, is the perfect start for any day. Our outdoor spa and top deck have great views of the ocean and is the perfect spot to relax late in the afternoon and early evening. We also offer the alternative of a fully self contained 2 bedroom apartment which can cater for up to 5 individuals, with fantastic water views from the lounge room. It has a large spa, shower and with a fully equipped kitchen. Whatever your taste in accommodation style, Lavender House By The Sea will ensure your stay will be relaxed, enjoyable and comfortable. We look forward to welcoming you to the ultimate in luxury Central Coast accommodation, fantastic food, and the warmth and charm of our old fashioned hospitality. 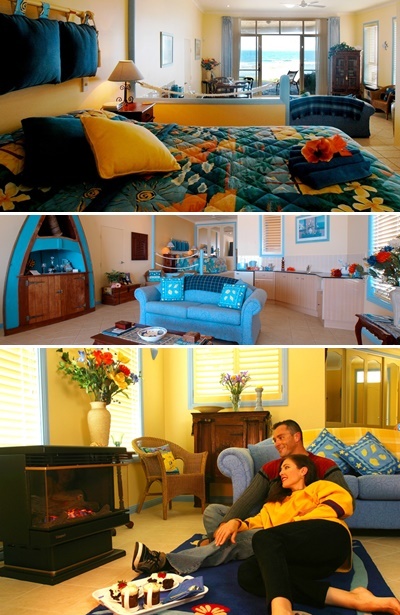 Avoca Valley Boutique Bed & Breakfast is a unique Central Coast accommodation experience. Superbly positioned in the relaxing Avoca Beach hinterland we are only 5 minutes from Avoca Beach, Terrigal and Copacabana and we can assure you privacy and unobtrusive personalised service. This romantic accommodation has been designed to capture the light, views and beauty of the natural Central Coast environment. Our Central Coast bed & breakfast accommodation facilities ensure your stay is a comfortable one and include airconditioned suites with marble ensuite, lounge area, TV, DVD, CD, fridge, hair dryer, quality linen, private terraces with outdoor furniture which provide magnificent valley views, separate guest lounge area, gas log fireplace in library area, breakfast room with private seating for couples, cooked gourmet breakfast each morning, port & chocolates each evening. Come and enjoy a stay at Avoca Valley Accommodation and we know you will return time and time again.